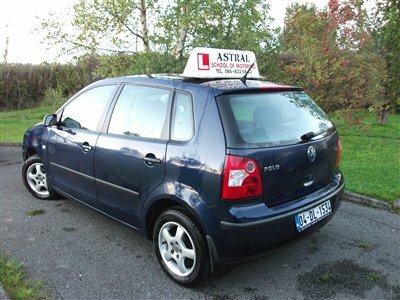 Astral Driving School Dublin - Pass Your Test with Astral Now! Coming to a Town Near You Right Now. The New Essential Driver Training Program! Please Read on … that is of course assuming you don’t know it all. If that’s the case then leave the site now and we wish you a long and Healthy Life behind the Wheel! Do We Tell It As It Is? You had Better Believe it! Today’s Driving environment in Ireland is a far cry from what it was 20 years ago or even a decade ago. As well as the dramatic shift in Demographics with many more young people coming into the frame there has been more legislation passed in the last 7 years than in the whole of the last 70 yrs. With a shed load more to come as the EU changes the way we do things on the road. All of this means that Learner Drivers have to take the whole process very much more seriously than they have done in the past. There are a great many scheduled changes to the Laws covering Driving Lessons Dublin, Learning to Drive and the Driving Test over the course of the next 12 to 24 months. The Laws affecting Novice Drivers, that is those in the first 2 years following passing the Driving Test, are also going to be implemented. New Learner drivers in Ireland are about to face probably the most far reaching series of legislative changes ever seen! Since the introduction of the Irish Driving Test in the late 1960’s changes to the rules and regulations which covered Learner Drivers were about as frequent as a snow storm in the Sahara! The end result of years of endless debate, discussion with no outcome and general apathy towards the Road accident statistics led to almost the worst safety performance on the roads in the whole of Europe. Fast forward to the New Millennium and we have seen more Driving Legislation in the last 6 years than since the foundation of the State! This is all excellent progress and Ireland is now 7th in the Safety League Table of European Nations. What does this all mean? Well there are more people alive today because of the Driving Initiatives and there will be a further improvements when the new Laws come into force in December 2010 and in April 2011. The completion of the Graduated Licensing Program over the next several years will finally bring Ireland into the realm of sensible and responsible Road Traffic and Driving Legislators and inline with most other EU States! Since time began there have been Driving Schools and other individuals who might consider themselves to be in this category but who most definitely are not! This is a heck of a bold statement but as we all know the truth hurts. The truth of the matter is that since there is no current legislation covering the Examination, Monitoring and Registration of Driving Instructors in Ireland it is possible to set up as a Driving Instructor, stick a sign on the roof of your Car and pretend to be an expert! No other country in Europe has let a situation develop as we currently have here in the Emerald Isle which is why, despite our new found wealth, and this is very significant, that our fatal and serious accident levels continue to rise. It is true that the rumblings in the corridors of power would leave us to believe that something is about to happen to improve the situation but we have heard these rumblings before…many times! It is unfair to place all the blame on the phalanx of learner drivers spewing out daily from the Motor Tax Offices clutching their Passports to Freedom, when there pertains the most incredible non -system of Training and Testing of these novice Drivers and an even more inexcusable level of Instructor Standards. The Driving Instructor Register of Ireland, which is a voluntary Examination and Monitoring Organisation, based on European Standards, which has aided and guided many Instructors over the last ten years, seems not to have been able to convince the succession of Transport Ministers during this time of the necessity of Regulation. The DIR has been part funded by the State since its inception and has been supported by a large number of Driving Instructors who take pride in their work and in their calling. There has been unfortunately a large body of Instructors who have chosen to ignore the voluntary examination and monitoring process provided by the DIR and they are visible in every town and City. It is a common site to witness so called Driving Instructors that have just done there Manual or Automatic Driving test leaving a Test Centre in a pupil’s own car without bothering to display L plates. These pupils are lucky there cars are not leaving on the back of a tow truck! If an Instructor cannot observe the Law and set an example when training a new pupil what hope is there that young drivers will do any differently? Not a Hope in Hell! An Instructor who has reached this heady level of non existent skills is about as much use to a Learner Driver as a plate of wet fish. In fact a plate of fish is to be preferred! Young Drivers are not naturally imbued with a sense of what is the correct way to behave on the roads or how they should treat the process of becoming a skilled and safe driver and so it is down to the Legislators to set a benchmark; to the Garda to ensure compliance and to the Trainers to not only uphold the Law but teach the reasons why the Laws are there in the first place! We have achieved something of an Economic Miracle here in Ireland over the last 10 to 12 years and an equally remarkable standard of poor and dangerous driving throughout the populace. Time to get some boundaries established and to follow the lead and example of many of our European neighbours, particularly those with well established economies and a sense of what is right and what is definitely not acceptable. Ireland is the envy of Europe when it comes to discussions of economic progress; without doubt our Learner Driving and Driving Test regime has to be the absolute pits and it is going to take a mammoth effort to bring about any improvement in the situation. If you put Rubbish in… guess what? You get Rubbish out!